My little Jax was begging to make Chocolate Chip Cookies the other day. And so together we made these ones. 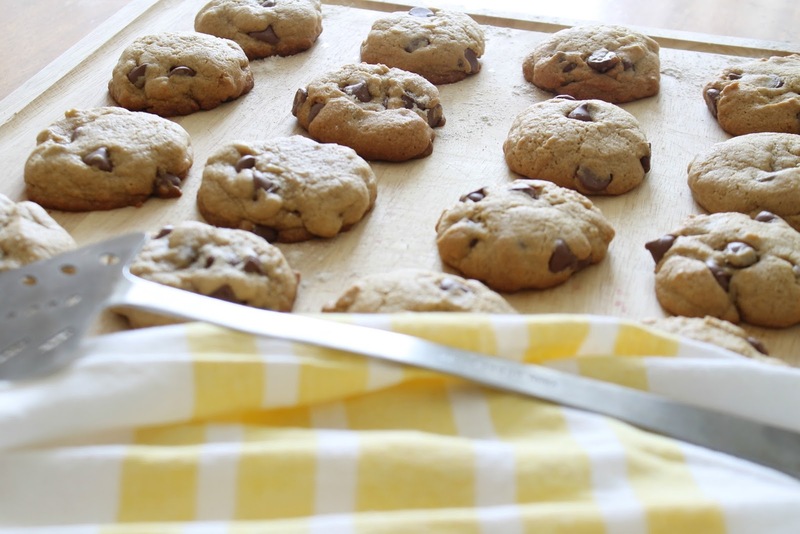 They turned out so delicious, that we just had to share the recipe. 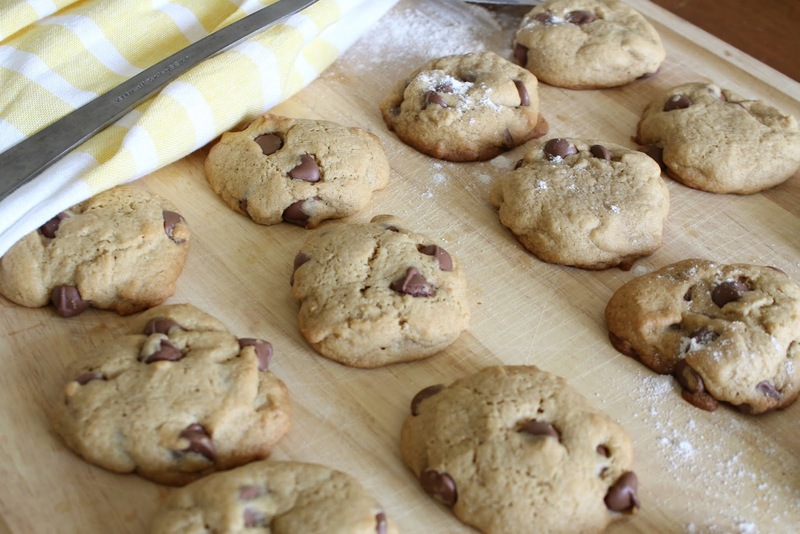 but obviously these cookies could also be made with regular white flour. Preheat oven to 375. Stir together flour, baking soda and salt; set aside. Gradually blend dry mixture into creamed mixture. Stir in chocolate chips. 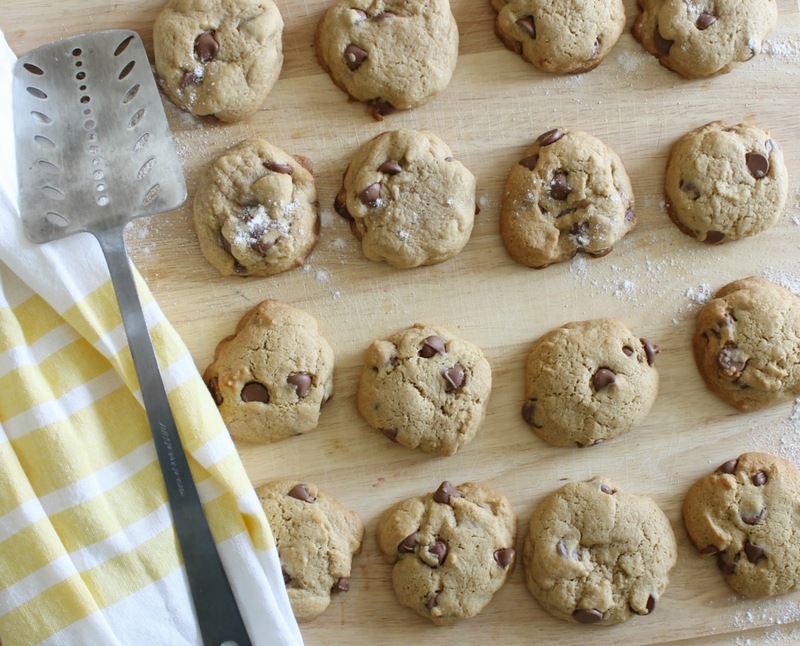 Drop by large tablespoon onto greased cookie sheets. Makes approximately 2 1/2 dozen. Hm, is it an option to replace the chocolate chips with a white chocolate?